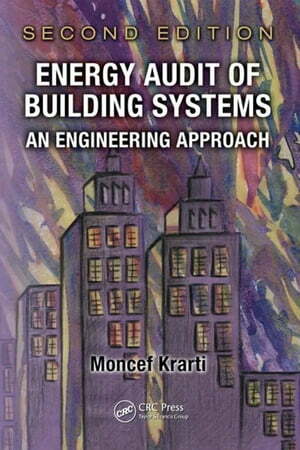 Collins Booksellers - Energy Audit of Building Systems: An Engineering Approach, Second Edition by Krarti, Moncef, 9781439828724. Buy this book online. Well-trained energy auditors are essential to the success of building energy efficiency programs-and Energy Audit of Building Systems: An Engineering Approach, Second Edition updates a bestselling guide to helping them improve their craft. This book outlines a systematic, proven strategy to employ analysis methods to assess the effectiveness of a wide range of technologies and techniques that can save energy and reduce operating costs in residential and commercial buildings. To help readers execute and optimize real building energy audits, the author presents several case studies of existing detailed energy audit reports. These include results from field testing, building energy simulation, and retrofit analysis of existing buildings, with recommendations based on sound economic analysis. Examining various subsystems, such as lighting, heating, and cooling systems, it provides an overview of basic engineering methods used to verify and measure actual energy savings attributed to energy efficiency projects.